The newly renovated Pelican Motel is located directly on Niagara Falls Blvd only 3 miles from Niagara Falls. This Niagara Falls NY Motel has rooms to suit all your needs. High Speed Internet in all rooms along with a fridge, a microwave, HBO and extended cable television are offered in each of the guestrooms of the Pelican Motel. 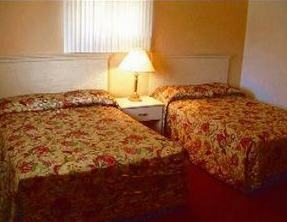 The motel also has 2 room suites for larger families. The family owned and operated Pelican motel is located in the heart of the entertainment district of Niagara Falls USA on Niagara Falls Boulevard, 3.5 miles from Niagara Falls. At the Pelican motel there are rooms to suite all your needs.